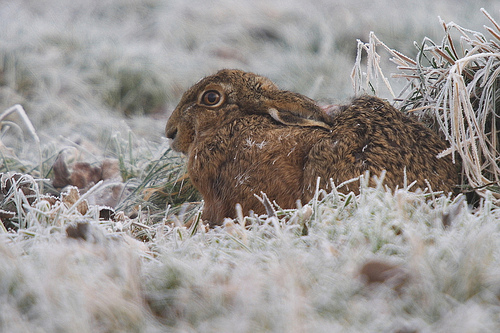 European Hare in a form at winter. This Hare didn't want to move. It had been freezing that night and it was pretty cold. 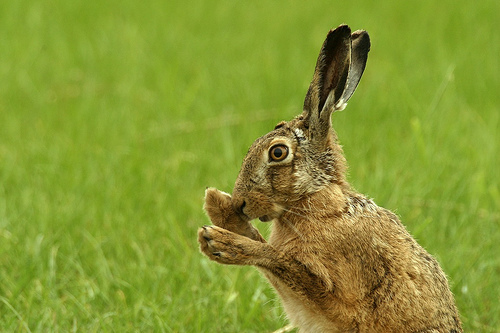 European Hare washing closeup. The hare walked right up to me, stopped, and started washing as if I wasn't even there. After a few minutes, he continued on his way and never noticed me or my 3 dogs! 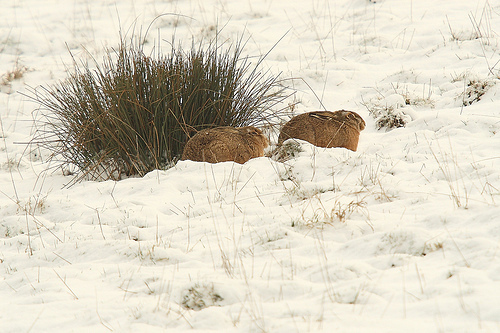 Two European Hares in the snow. 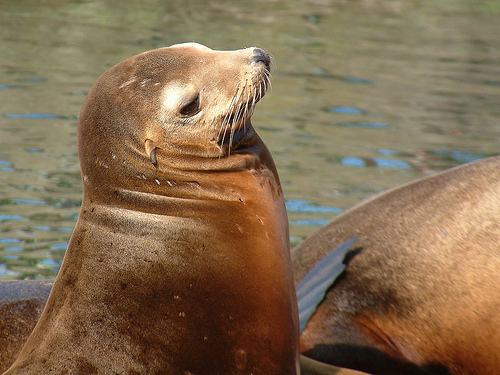 Portait of a Sea lion. Captive.